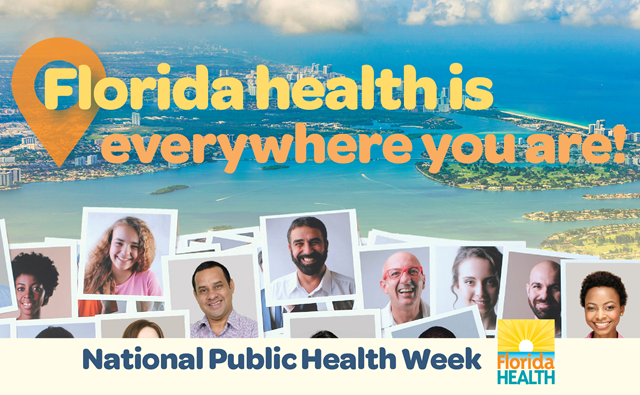 The Florida Department of Health is celebrating National Public Health Week (NPHW) from April 1-7. This year’s theme is “Changing Our Future Together,” which will celebrate the power of prevention, advocate for healthy practices, share strategies for successful partnerships and champion the role of a strong public health system. Florida’s counties continue to be national leaders in health improvement planning, and in 2013, Florida became one of the first states to have a Community Health Improvement Plan (CHIP) in each of our 67 counties. Each CHIP defines a vision and roadmap for improving the health of the community and is developed in collaboration with local governments, non-profit organizations, health care professionals, business groups, schools, faith-based organizations and many other stakeholders. As new health data becomes available, CHIPs are updated accordingly.